A three-month summer sabbatical in Italy is a dream opportunity for many people, offering the opportunity to learn Italian, explore regional cultures, and most importantly, sample some great local food. For a handful of lucky applicants, this dream will become a reality, as Airbnb are offering paid opportunities to live and work in the historic village of Grottole in southern Italy. The post comes with free travel, accommodation and a €900 living allowance. It also offers cooking and language courses as part of the package. According to The Telegraph, the scheme is run by Airbnb in partnership with Wonder Grottole, a non-profit organization that hopes to reinvigorate this ailing historic village. 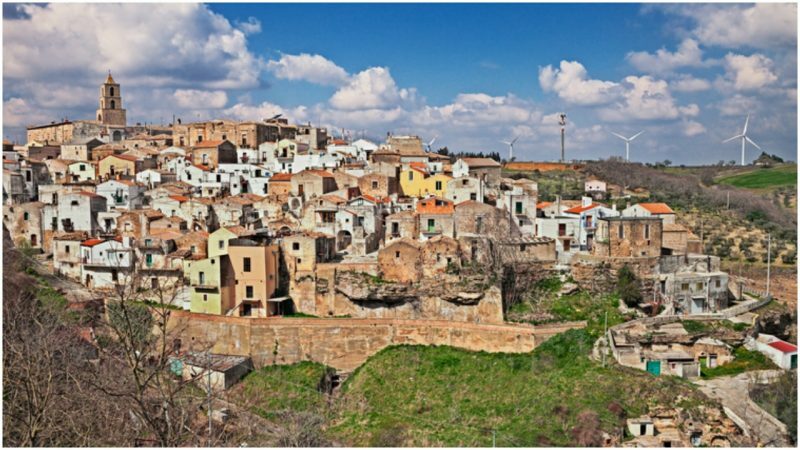 Like many rural settlements in Italy, Greece and Spain, Grottole has suffered from significant depopulation in recent years, as younger generations are migrating en masse to urban centers. The lack of jobs and opportunities in rural areas, partly as a result of the economic downturn in 2008, means that young people are often forced to move to find ways to make a living. However, this is draining historic villages such as Grottole of its inhabitants, and many fear that important pieces of Italy’s cultural heritage will be lost. In Grottole, the population now numbers just 300 people, leaving more than 600 houses in the village standing empty. 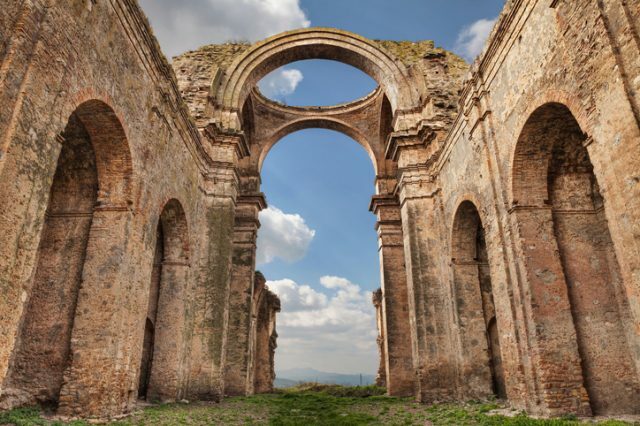 Grottole, Matera, Basilicata, Italy: the ruins of the ancient church dedicated to Saints Luca and Giuliano in the old town of one of the oldest villages in the region. This rampant depopulation is a tragedy, as Grottole and the surrounding area is known for its unique, rich cultural heritage. According to The Telegraph, Grottole is famous for its pottery, which has been a part of the local economy since the time of the Romans. The name Grottole is derived from the Latin word cryptolae, meaning cave, and the hills around Grottole are littered with small caves that were historically used as ceramics workshops. Grottole is not only known for its pottery, however. As this area was part of the ancient Roman Appian Way, it is rich in ancient and medieval sites, including a number of 10th century castles. Local honey is produced here, and the region is particularly known for the abundance of chestnut groves and vineyards. Set amid beautiful rolling scenery, Grottole offers rich culture, fabulous food, and beautiful natural surroundings. In an effort to boost tourism and draw residents back to the village, Wonder Grottole has launched a series of initiatives focused on highlighting local culture and cuisine. Partnering with Airbnb, they are offering visitors ‘Experiences’, including local tours of the historic ceramics workshops, cooking courses, language classes and other activities focused on traditional life in a rural Italian village. 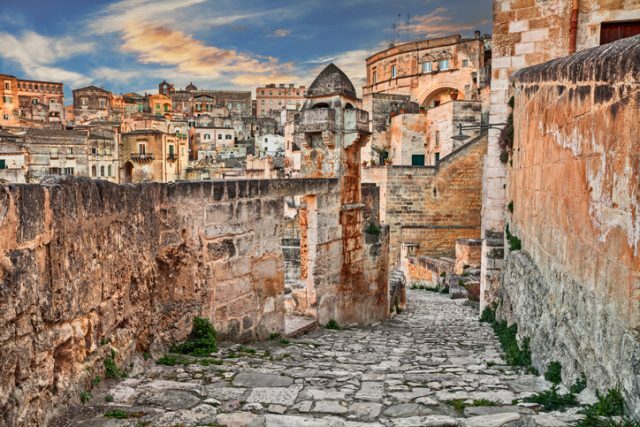 Grottole, Matera, Basilicata, Italy: picturesque view at sunrise of an ancient alley in the old town “sassi di Matera”, European Capital of Culture 2019. Holders of the sabbatical post will be expected to coordinate these activities for visitors, welcome guests to the local area and manage the holiday properties. However, they will also volunteer with Wonder Grottole and participate in the restoration of historic buildings in the village. They will have the opportunity to get involved with local agricultural projects, including running the village vegetable garden, and learn to use these harvested products to cook delicious local food. Airbnb are offering free accommodation for three months this summer in a historic house in the center of the village, together with a €900 monthly stipend for living costs. All language and cookery classes are provided for free, making this a wonderful opportunity for anyone wishing to immerse themselves in tradition Italian village life. According to The Telegraph, it is hoped that this initiative will reinvigorate Grottole’s local economy, and eventually encourage new families to come and settle in the area. Ancient town of Matera (Sassi di Matera), European Capital of Culture 2019, in beautiful golden morning light, Basilicata, southern Italy. 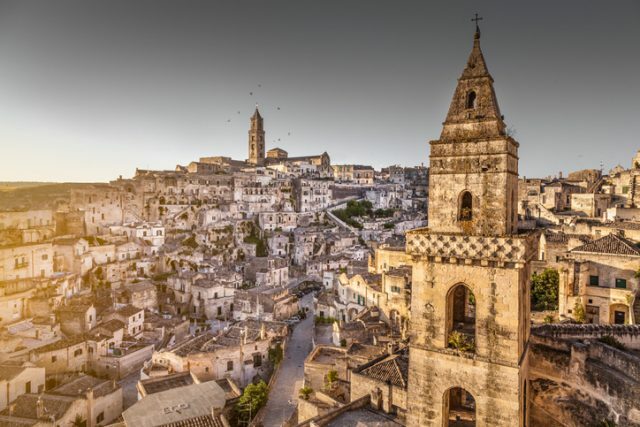 The wider region will receive an influx of visitors this year, as the nearby town of Matera has been named as the 2019 European Capital of Culture. Ideally, this should encourage tourism to Grottole, and provide much-needed income for local residents. Grottole is not the only southern European village to develop creative schemes to boost ailing rural economies in recent years. 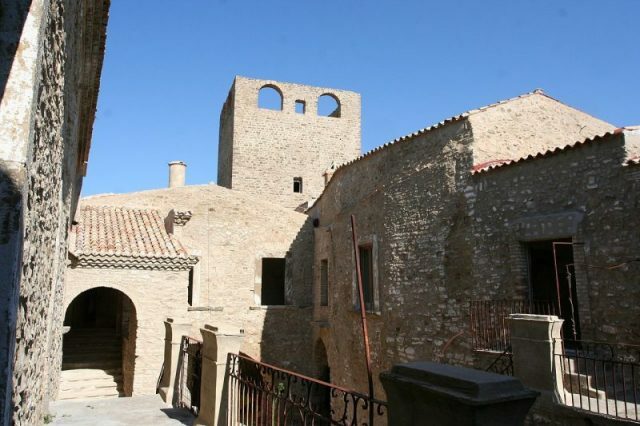 Other towns in Italy and Spain have offered houses for sale at a nominal fee of €1, on the condition that the new owners work to restore these historic buildings and invest in the local economy. In an increasingly uncertain world, where the economic future of this region is precarious, villages such as Grottole must find new and innovative ways to keep their communities alive, and preserve their ancient culture and way of life.